The database was released in early 2018 with the goal to create an open, free-to-use platform for tracking, capturing, and analyzing combustible dust fires and explosions around the world. In July 2018, DustEx Research Limited, the company running the database, released the 2018 mid-year incident report which recorded 75 fires, 14 explosions, nine injuries, and one fatality in North America and an additional 14 fires, 12 explosions, 31 injuries, and eight fatalities, Internationally, related to combustible dust hazards. The current incident report falls on the back of similar reports releases in 2017 and 2016. 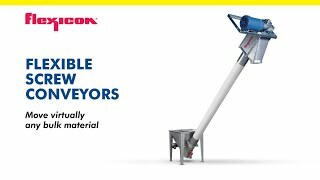 Combined, these efforts are starting to create a clearer picture of the materials, equipment, and industries most likely to be impacted by combustible dust incidents, which will aid operators, technical specialists, and safety professionals in understanding the potential hazards involved in their facilities. This article is published by DustEx Research Ltd.